Stepping down as chair of the School of Visual Arts’ BFA Interior Design Department, Spacesmith founder Jane Smith, FAIA, IIDA, ASID cited for her design education, mentoring. 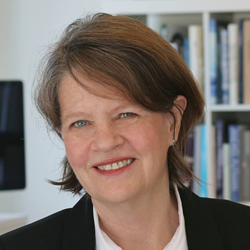 The global architecture and design firm Spacesmith has announced that Jane Smith, FAIA, IIDA, ASID, is stepping down from her post as chair of the BFA Interior Design Department at the School of Visual Arts (SVA) in New York City, where Smith has served since 2006. In this capacity, Smith has led one of the most successful Council for Interior Design Accreditation (CIDA) approved undergraduate programs for interior design in the nation, overseeing a faculty of 25 leading design professionals and a comprehensive curriculum for aspiring designers. The BFA Interior Design Department at SVA was established in 1991 to prepare students to create, shape and reinvent the interior spaces in which people live, work and play, guided by a faculty of award-winning interior designers, architects and artists. In her role, Smith has focused on helping strengthen and inspire young talent while encouraging SVA students to learn to combine personal expression with practical realities to create spaces that meet a myriad of design challenges. This has been a theme throughout Smith’s professional life. As the founding principal of Spacesmith, the noted architecture and design firm based in New York City, Smith has balanced strong design with business pragmatism. With more than 25 employees, Spacesmith has worked on a wide range of acclaimed projects for academic, retail, civic, institutional and corporate clients. In addition, Smith has played an active role as board member for the New York State and City Chapters of the American Institute of Architects (AIA), strengthening the ties between professional architects and interior designers. “As an architect who has spent much of my career engaged in the creation of spaces within existing buildings and designing new buildings from the inside out, I have learned that interior design is a specialized skill and that well-educated interior designers are an essential part of the professional team,” says Smith, who is also associated with International Interior Design Assocation (IIDA), Women Executives in Real Estate (WX), the Beverly Willis Architecture Foundation (BWAF), CoreNet, and other professional organizations expanding the influence of architects and interior designers. A lifelong educator, Smith has served as a lecturer, faculty member and critic while chairing SVA’s BFA Interior Design Department. “It has been a rewarding opportunity to be part of a school with the mission to educate future generations of artists, designers and creative professionals,” says Smith. During her tenure with SVA, Spacesmith was engaged by the college to design new, innovative facilities for several programs—including MFA Photography, Video and Related Media; MFA Social Documentary; and MFA Design for Social Innovation—as well as Smith’s own department. 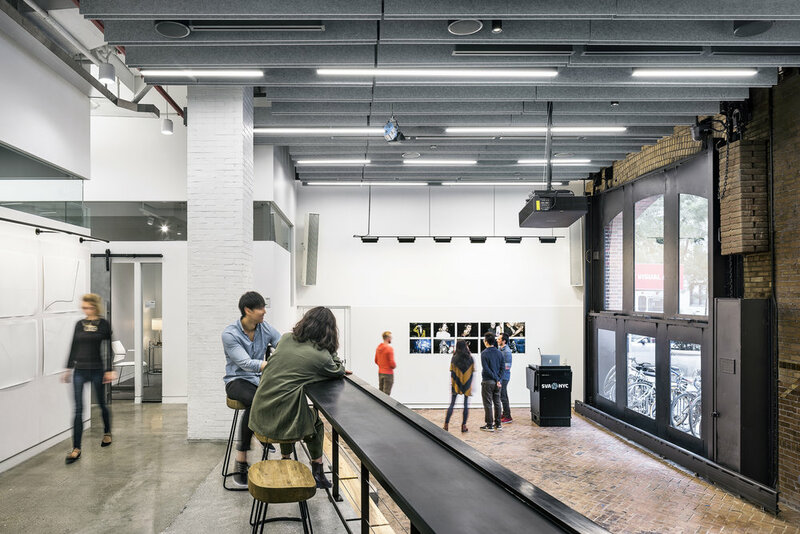 Interior of the School of Visual Arts MFA Photo Department, designed by Spacesmith. (Photo courtesy Spacesmith)Spacesmith, led by Jane Smith, FAIA, is well regarded for its designs of learning and campus life spaces for higher education.